The World Cetacean Alliance is run by our incredible Partners across the world. Explore our Partners and their work here. The Marine Environment Research Association –AIMM, was found in 2010 and is a non-for profit, non-governmental organization with international scope, focused on the research and conservation of marine species inhabiting mainly the Atlantic Ocean. AIMM aims to be a reference for research, education and conservation of the Atlantic Ocean wildlife and environment, identify threats and mitigate their effects; provide scientific data towards effective conservation measures, monitoring programs and adequate policies of marine management to promote a healthier and safer environment for marine species; promote a responsible code of conduct in cetacean-related tourism activities, enhance the quality of tourism and respect for wildlife in their natural environment. AIMM is collecting data at sea to support scientific studies and update conservation status and knowledge of marine species, particularly marine mammals. It is also developing education programs, activities and partnerships among sea stakeholders to empower awareness and understanding of the marine environment. AIMM provides the opportunity to international participants live, learn and experience working at seaconditions with experienced marine biologists and researchers, in an environmental friendly and multicultural environment, actively playing a role in the marine environment research and conservation. 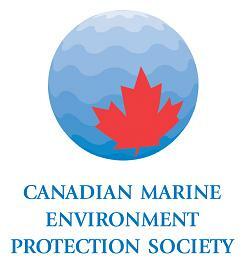 The Canadian Marine Environment Protection Society (C-MEPS) is a volunteer-run, Canadian registered charitable society founded in 1993 and based in Vancouver, British Columbia. CMEPS was formed to help facilitate the discussion of ethical, scientific and environmental issues related to the plight of marine animals and their ocean habitat. CMEPS believes that the public should be made aware of the importance of protecting the ocean’s remaining natural ecosystems for their biological and cultural importance, now and for the future. CSI is an all-volunteer, non-profit conservation, education and research organization working on behalf of cetaceans (whales, dolphins and porpoises) and their marine environment.Founded locally as the Connecticut Cetacean Society in 1974, CSI took to the international scene in 1986 and emerged a global leader in cetacean advocacy, with contacts in over 20 countries today. 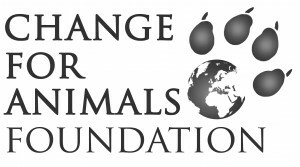 Change For Animals Foundation (CFAF) provides tailored expertise and support for organisations, institutions and governments. We also deliver campaigns, advocacy and project-based work. We realise that as well as the importance of leading our own campaigns to improve animal welfare, there is also a need for groups to work in partnership in support of each other. By working in collaboration with local and international NGOs, we can achieve positive and lasting change for animals on a large scale more efficiently and effectively than working in isolation. Transforming the lives of animals in various countries requires local knowledge and understanding of the culture from within the community, but many animal welfare groups find it difficult to access the resources and the strategic support they need. However, through working partnerships with groups across the world, CFAF can provide input in terms of expertise, research and resources, so that together we can deliver positive change for animals at both the policy level and on the ground. 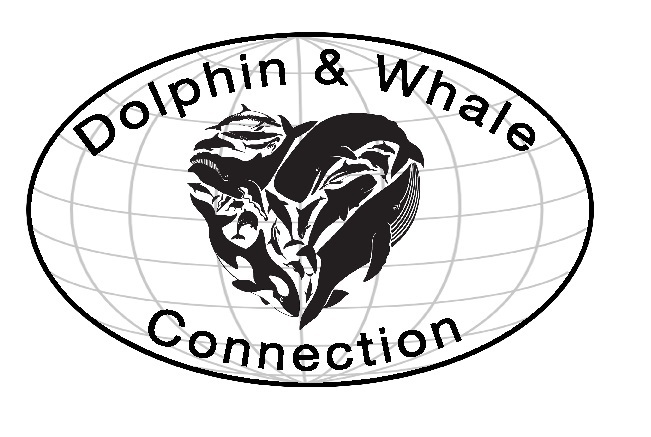 We are proud partners of the World Cetacean Alliance (WCA) and active members of the captivity working group section of the WCA. CIFAMAC is a local NGO located in Mejillones (northern Chile) a small village in the coastal Atacama Desert. It was founded by local fishermen and scientist together with the aim to protect the marine environment. Atacama Desert coast, despite to be the driest desert in the wold, has one of the most productive marine ecosystems thanks to the presence of Humboldt Current and upwelling phenomenon. The primary production in the coast of Mejillones Peninsula provides food to numerous marine megafauna. Blue whales, humpback whales, fin whales, bottlenose dolphins, common dolphins, Risso’s dolphins, Dusky dolphins, Burmeister’s porpoise, sea lions and numerous sea birds species can be observed frequently in Mejillones Bay. However, Mejillones Bay is one of the most polluted bays in Chile due to the growth of mining industry in the Region. Human activities such as mining, shipping and fishing cause pollution, spills, collision risk and bycatch to several marine species and its environment. Thus, CIFAMAC aims to provide scientific information and environmental education to local communities, tourism operators, local and national Authorities regarding the importance to preserve this marine ecosystem. To foster responsible marine wildlife-watching tourism. To support marine research on marine fauna and ecosystems conservation. To provide environmental education to local children, fishermen and tourism operators. -Friend Fishermen: Citizen science and environmental education to promote marine fauna conservation in Mejillones Peninsula. – Marine traffic and collision risk with cetaceans in Mejillones Bay. – Marine debris spatial distribution and its overlap with cetaceans’ distribution in Mejillones Bay. – Whale entanglement: in January 2017 we successfully performed the disentanglement of a humpback whale in Mejillones Bay. Who we are? GEMM (‘Groupe d’Étude des Mammifères Marins‘ or ‘Marine Mammal Study Group‘) is a non-profit organization based in French Polynesia. It is composed of biologists, naturalists, photographers, scuba divers and sailors caring about the future of marine wildlife. What we do? The action of GEMM is based on three principles: knowledge, conservation and mediation. Our situation, in the middle of the Pacific ocean, and our field vocation motivate us to carry out annual marine mammal surveys in sensitive or vulnerable areas. We are mainly working on problems related to the unframed development of marine mammal tourism and the conflicts between fishermen and cetaceans within the Marine Mammal Sanctuary of French Polynesia. Our long term study on the common bottlenose dolphin (Tursiops truncatus) community inhabiting Rangiroa waters focuses on the behavioral changes and risks related to close interactions between dolphins and scuba divers. Our annual study on humpback whales (Megaptera novaeangliae) allows us to identify individuals around Makatea Island and to test a non-invasive approach of animals or groups of animals, mainly mother and calf pairs which are particularly vulnerable to disturbing whale watching activities. Our work on the existing conflicts between fishermen and marine mammals consists of identifying the species involved in depredation and proposing solutions that respect the well-being of whales, dolphins and fishermen. Happywhale tracks individual whales throughout our world’s oceans. We believe that whale watching guides, naturalists and passengers are vital to our understanding of whales. Scientists can only be in one place at one time; by harnessing the power of millions of whale watching enthusiasts, we can expand our scientific knowledge exponentially. Our platform empowers whale watchers to photograph whales and tell their stories. Ocean conservation starts with connection. We believe that as we build personal relationships with the ocean and its wildlife, we become more invested stewards of the marine environment. Whales, as individuals, have compelling stories to tell: where will this humpback migrate this winter to give birth? Did the whale with scars from a killer whale attack survive another year? What happened to the entangled whale I saw in the news? The Humpback Whale Project was set up in 1988, in Caravelas, southern Bahia, Brazil, to study and protect a small remnant humpback whale population, discovered during the implementation of Brazil’s first National Marine Park, in the Abrolhos Bank. The area was then suggested to be the main humpback whale breeding ground in the western south Atlantic. In 2001, a second station was set up on the northern coast of Bahia, in Praia do Forte, just 50 km north of the state capital, Salvador. This area is believed to be a former breeding ground, reoccupied by the recovering humpback population. The Humpback Whale Space, opened in 2006, is a large visitor centre dedicated to environmental education and raising awareness in the local community and tourists for whale conservation and responsible tourism. The Humpback Whale Project is part of a larger organization, the Humpback Whale Institute, founded in 1996, with the mission to “protect the humpback whales and other cetaceans of Brazil, contributing to harmonise human activities with the preservation of the natural heritage”. We do this through scientific research, environmental education, responsible tourism and public policies. We believe that working in partnership with the local communities, tourists and the public opinion, in several ways, strengthens the battle for the conservation of our oceans and all marine species. Jonian Dolphin Conservation is a scientific organization conducting research on the cetaceans in the Gulf of Taranto, in the northern area of the Ionian Sea. When it comes to the conservation of the marine environment, the experience, the skills and the knowledge of our team of qualified experts provide a deep, as well as all- encompassing levels of research. We believe that our primary goal, the protection of the cetaceans that live and pass through the Gulf of Taranto, can only be achieved by creating and raising awareness about the fact that cetaceans still do live and thrive in our Ionian Sea. Subsequently, a strong level of awareness can only be achieved by sharing our knowledge with the people. worldwide. (Http://seamap.env.duke.edu/ dataset / 812). Jonian Dolphin Conservation was one of 21 Excellent National Choices to represent the Region of Puglia at Expo 2015. In 2013, JDC ranked first place for its “Scientific Research and Technological Innovation” in the ‘Sea Heritage – Best Communications Campaign” Award; an international award for all public and private institutions that submit projects and research papers on the development, promotion, appreciation and awareness of our local marine heritage. As a leading scientific data-recording organisation for Cetacea (whales, dolphins and porpoises), seabirds, and other marine wildlife, we have been carrying out work in the English Channel, North Sea and the Bay of Biscay since 1995. In 2005, we became a registered charity as MARINElife and we directly run and collaborate on an extensive programme of marine wildlife research and education projects primarily focussed in the European Atlantic region. The Nantucket Marine Mammal Conservation Program founded in 1977. 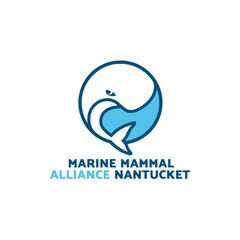 Now named the Marine Mammal Alliance Nantucket, MMAN reaches out to the public locally through media and community events, nationally and internationally as a member of the World Cetacean Alliance (WCA) and the Whales Need US Coalition (WNUS). MMAN, regularly takes part in Nantucket Island events, providing information, outlining opportunities for further education and encouraging involvement from the public in marine mammal conservation causes. Working with teachers in our schools, we provide resources, facilitate projects and bring experts to the island to motivate and expand young minds. Through WCA and WNUS, MMAN actively advocates on behalf of marine mammals worldwide. 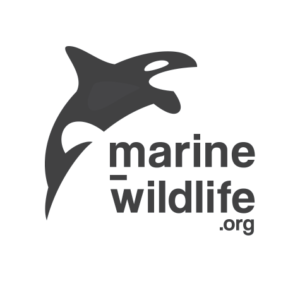 Marine-wildlife.org is for the marine wildlife enthusiast who likes to be informed about everything marine wildlife tourism-ish. It has been created by a scientist for other professionals as well as people who want to learn more about human-wildlife interactions in general, best-practice operations, and the latest trends and exciting developments. It provides news fresh out of marine wildlife tourism research. The website is also for those who simply need input and advice for their next wildlife watching experience. MelbournDolphin was set up in early 2013 to raise awareness about the ocean environment and its inhabitants, predominantly cetaceans. We wanted Victorians and others to appreciate the ocean life that we have in Australia that is wild, free and protected, but also draw attention to marine life in other parts of the world that does not have the good fortune to be protected. We also focus on the hunting of wild dolphins and the connection this has to the captivity industry. The North Island Marine Mammal Stewardship Association (NIMMSA) consists of marine-based tourism companies that operate in the waters off north-eastern Vancouver Island between Campbell River and Cape Caution. NIMMSA provides a platform from which members conduct stewardship activities aimed at benefiting marine mammals, the marine-based tourism industry, and their respective shared environment. NIMMSA members are committed to the sustainability of a positive balance between the marine-based tourism industry and the health of the local marine eco-system. OCC-Uruguay is committed to the protection of at least 26 species of cetaceans, which are resident or migratory species in Uruguay’s territorial waters. The most common and predominant are: Right whale (Eubalaena sp), Bottlenose dolphin (Tursiops sp), Killer whale (Orcinus orca), and the endangered La Plata dolphin (Pontoporia blainvillei). There are also reported sightings of the Common dolphin, Sperm whales, Minke whales, Fin whales, Humpback whales, Pilot whales and different species of Ziphius. In the last decade, OCC-Uruguay has identified the major threats to marine conservation along Uruguay’s Atlantic coast, and worked hard to establish both the legislative foundations, inter-institutional and public support necessary for change. OCC advocates for protecting the ocean and marine life, promoting Uruguay’s territorial sea as a “Sanctuary for Whales and Dolphins” (National Law 19.129). OCC was also instrumental in Uruguay’s return to the International Whaling Commission (IWC) after 22 years’ absence; integrate the official delegation and co-sponsorship for the wider South Atlantic Sanctuary for Whales and Dolphins. Achievements include: establishing the “Route of the Whale” – declared of National Interest by Uruguay’s Ministry for Tourism (2002); installation of viewing platforms along the coast, the training of +400 tourism operators and +50 accredited guides; creating a volunteer whale watching network, to alert national coastguard officials in cases where whales are threatened or stressed by boats, kayaks or other marine activity; establishing protocols of good practice and certification of responsible and sustainable tourism for marine activities, supported by the Ministry of Tourism (MINTUR), Ministry for the Environment (MVOTMA) and the national coastguard (2015). 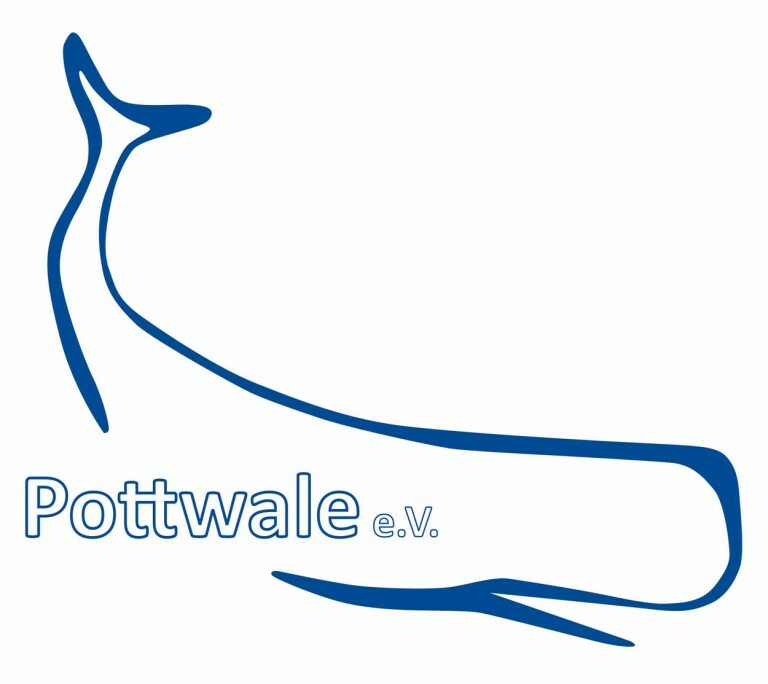 Pottwale EV is a non-profit organisation based in Dusseldorf, Germany, dedicated to the research and conservation of the habitat of sperm whales. Project Jonah is a registered charity that exists for one simple reason – marine mammals desperately need our help. Our vision is to create a world where these animals are respected and protected. 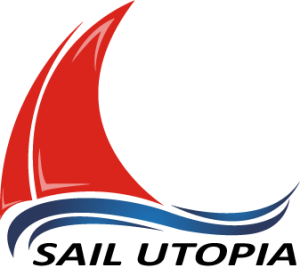 We are a small, no-profit sport association, dedicated to living the sea and the environment, using sailing as a bridge to connect multiple experiences. We are based in Sicily, close to the Aeolian archipelago, still a place of stunning beauty. We strive to live the sea in the most respectful manner. Our aim is to be as gentle as possible with the environment, leaving only our wake on the sea and the sound of the sails in the wind. The Eolian archipelago is rich with fish and marina mammals, endangered by excessive and sometimes illegal exploitation. In our saling trips we always watch out for dolphins and other cetaceans, not only for the pleasure of observing them, but also to furnish precious observational data to the local wildlife organisations. 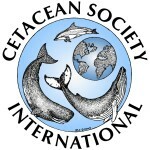 We are a proud member of the World Cetacean Alliance. On our boats, we follow strict practices to limit our impact on the environment. We use only totally eco-compatible washing products, and we limit the use of plastic. We recycle and reuse as much as we can. Our aim is to arrive to a completely sustainable way of sailing, including the use of electrical engines and renewable energies. We we are equipped with a water maker that enables to produce our own water onboard, and the tender is equipped with an electrical outboard that allows us to have a somewhat lesser carbon and acoustic footprint. 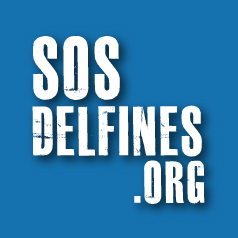 SOSdelfines is a coalition of organisations created to expose the problems of captive cetaceans. SOSdelfines aims to raise awareness of their suffering, high mortality, aggression and other effects associated with maintaining dolphin, orcas and other cetacean species in zoos, aquaria and dolphinaria and to put an end to circus-like shows that use them. Although originally established to work in Spain- the EU country with most captive cetaceans and dolphinaria- the SOSdelfines platform can be used to launch “sister campaigns” in other countries- such as the already existing sosdelfini.org in Italy. The web page is available in Spanish, English, French, German and Italian. The Swiss Cetacean Society-SCS is a non-profit organisation devoted to the preservation of marine mammals in their natural habitat. We hold the conviction that better scientific knowledge of the animals and their environment is essential to ensure efficient protection measures. With this aim in mind, SCS distributes general information about marine mammals to the Swiss public, encourages access to specialised training and organizes the logistics at sea of scientific and environmental programmes abroad. The Swiss Cetacean Society organises worldwide campaigns at sea for data collection on cetacean populations. These scientific programmes are co-financed by the Swiss public. The collected data are then transmitted to corporate scientists who ensure their treatment and usage. This SCS activity mobilises research platforms and teams of volunteers supervised by trained naturalists. Since 1997, SCS has carried out over 1’400 days of data collection in the Mediterranean Sea, and helped to identify and observe tens of thousands of cetaceans belonging to 8 species. In total, more than 1’400 volunteers, divided into 250 teams, provided offshore work for the benefit of the International Commission for the Scientific Exploration of the Mediterranean Sea (CIESM) and of many European research organizations involved in the Mediterranean sea, such as écoOcéan Institute, OceanEye, Tethys Research Institute or Tursiops Marine Research in the Balearic Islands. The purpose of these different scientific programmes is to study the whale and dolphin populations of the Ligurian Sea and of the Balearic Islands, in order to improve their protection via concrete measures. Similarly, SCS has participated as a logistics partner of CNRS (CIRCE) in a broad international and interdisciplinary study of the Mediterranean Fin whale (the second largest whale in the world), involving a large number of researchers from various disciplines (oceanographers, ecologists, geneticists, biochemists, etc.). During this project, SCS closely worked with the Laboratory of Ecotoxicology at EPFL (Prof. Dr. Ing. J. Tarradellas) for the analysis of micropollutants. Overseas, SCS has been contributing (financially and by sending volunteers) to an environmental research project on Risso’s dolphins in the Azores (Dr José Azevedo from the Risso’s Dolphin Research Center), as well as to another study on the interaction between Spotted dolphins and Bottlenose dolphins in the Bahamas (Dr Kathleen Dudsinski & Kelly Melillo from the Dolphin Communication Project). The SCS also supported (financially and by sending volunteers) an environmental research project on Gray whales in the Canadian Pacific (Dr David Duffus, University of Victoria-Vancouver). Presently, SCS is managing a project for the protection of Green turtles of the Indian Ocean in the Comoros Islands (Ulanga Ngazidja), and another one for the survival of the Gulf of California porpoise (Vaquita) in Mexico (ProNatura Mexico). The Swiss Cetacean Society has thus become one of the leading providers of cetacean data in the north-western Mediterranean Sea. We are a recognised partner of the Monaco environmental institutions (CIESM, ACCOBAMS, RAMOGE). In addition, SCS is a Member of IUCN, ACCOBAMS’ Partner, member of the scientific network MEDCET and was designated Champion of the Earth (Earth Champions Foundation). The Swiss Cetacean Society has an official state-approved status (charity), according to the Law on cantonal direct taxes of 4 July 2000, and therefore is tax-exempted. 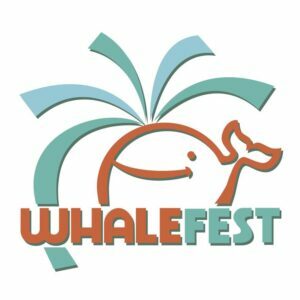 WhaleFest is a not-for-profit company that runs its own events, plus offers consultancy on whale festivals, outreach education and more. We have a small core staff and a team of 850+ volunteers and run the world’s largest festival about whales and dolphins – 15,000 people attended at Brighton UK in 2015 – which each time we offer as a public platform for the WCA to raise funds and awareness for a chosen campaign. We help to develop festivals elsewhere around the World, take part in science festivals, gigs and parades in the UK, and our Incredible Oceans project – in partnership with WCA – will reach many thousands of school children in their classrooms. “Together we give whales and dolphins a more powerful voice by gathering everyone who cares about them at the biggest events and biggest outreach in the World. By being popular, informative and entertaining, we aim to touch the hearts and minds of millions of regular people, inspiring them to be an army of ambassadors to defend marine life and our oceans”. Wildlands Conservation Trust is a South African based non-profit conservation organisation with a simple VISION of “A Sustainable Future for All”. Our vision supports our commitment to the stewardship of our natural resources that underpin the well-being, resilience and livelihoods of the communities that partner with Wildlands. Wildlands implements various programmes, namely, Trees for Life, Greening Your Future, Recycling for Life, uBuntu Earth, Clothes for Life, Conservation SPACE, Sea’s for Life and Khuthaza Business. Despite each programme having separate aims and objectives, each are intrinsically linked, as they have similar geographical operational spaces and are aimed purely at livelihood support within rural and peri-urban communities. By working at the critical interface between environmental conservation and socio-economic advancement, Wildlands aims to create resilient ecosystems through the development and facilitation of innovative “green-economy” solutions, which promote social inclusiveness and sustainable development. This also allows Wildlands to conserve biodiversity and manage the ecosystems which underpin the welfare of many South African communities. This interconnectivity between local communities and their supporting ecosystems, enables communities to derive direct benefit from the environment, but also ensures it’s long-term conservation. Yorkshire Life Aquatic C.I.C. is an arts organisation specialising in synchronised swimming style dance performance in and out of water. We recreate the fun and glamour of vintage synchronised swimming in and out of water, in parks and pools, on beaches, at festivals, and even in fountains. We are also mermaids! We use art and performance to promote positive body image, health and well-being to the public. We also use creative activism using mermaids to highlight environmental and animal rights issues with the main focus on the oceans. Our performances are unique and we pride ourselves in making work that is distinctive and brave as well as entertaining and though provoking. Yorkshire Life Aquatic is run by Lucy Meredith and Zoe Parker, who first joined forces in 2013 after discovering a mutual love of synchronised swimming, water choreography and mermaids as well as a concern for the state of the oceans and their inhabitants. We know Alaska tops many a nature lover and wildlife photographer’s bucket-list and Sitka is a whale watchers paradise. Explore with Sitka’s premier small group and naturalist led boating adventure company. Have your cameras ready to spot Whales, Otters, Puffins, Bears and more, while listening to the soothing whale songs and calls on our hydrophone. Most importantly we offer more personal nature experience you simply can’t get as part of a tour wildlife cruise ship with hundreds of other passengers. Join one of our 3 or 4 – hour expeditions, it’s a superior way to discover Alaska! We also feature unique opportunities for guests who wish to focus on photography, offering Full Day or Multi-Day Wildlife Photography Expeditions. Imagine the incredible images you’ll capture with glacier-capped alpine peaks as your background when a pod of up to 20 Humpbacks explode out of pristine waters each engulfing up to 1500 gallons of herring willed water while hundreds of courageous gulls seemingly pluck their share out of the surfaced mouths. Southeast Alaska is the only place on earth you can witness the awe inspiring cooperative feeding technique, bubble-net feeding. Throughout your expedition you receive expert coaching and mentoring by our photography leaders who will help you take original and impactful wildlife photographs of whales and the Alaskan marine ecosystem! We proudly dedicate 5% of our profits to organizations that promote conservation, education, research and the protection of Sitka’s cultural heritage and natural resources. 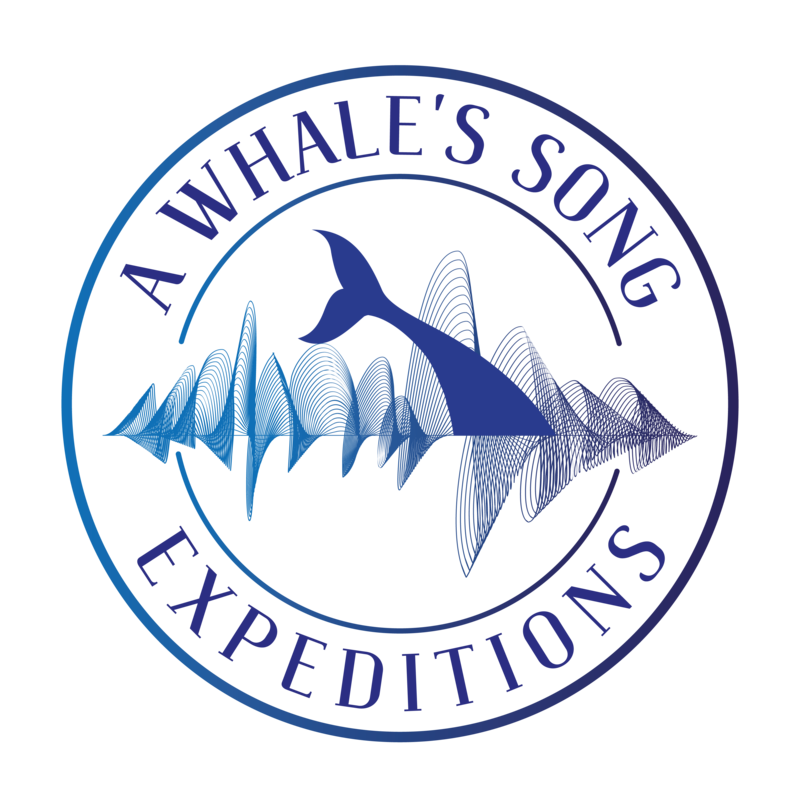 This is, A Whale’s Song Expeditions commitment to preserving the beauty and privilege of living in this incredible ecosystem. 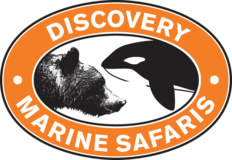 We are a family owned Adventure Tour company specialising in ethical Whale Watching and Grizzly Bear Viewing. We operate in the world’s first Whale Heritage Site, a pristine wilderness with an abundance of Northern Resident Orca, Transient (Biggs) Orca, Humpback Whales, Minke Whales, Grey Whales, Fin Whales (although rarely), Pacific White Sided Dolphins, Dall’s Porpoise, and Harbour Porpoise, located in the vicinity of Northern Vancouver Island and the surrounding mainland areas. 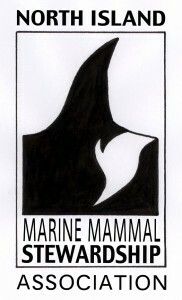 We are a proud member of NIMMSA (North Island Marine Mammal Stewardship Association), and the World Cetacean Alliance. We firmly believe in “low impact” Wildlife viewing, so that the amazing creatures we enjoy are free as possible to go about their business without interference from boats. Atlantiangra-dolphin & whale watching is a tourist company, based in Angra do Heroísmo (Terceira, Azores) that is dedicated to the observation of cetaceans and boat trips. Our mission is to provide our clients with a pleasant and secluded experience in marine life, ecology and culture. We have been training ourselves for several years and experiencing the marine environment to come to understand what attracts us and inspires us the most. This passion had to be set through this project called Atlantic Eco Experience which aims at the transmission of knowledge in order to preserve. “To know in order to preserve” is the engine that drives us to generate new synergies in our visitors, offering an experience that helps to assess the biodiversity in general and the marine environment in particular. The tour will be done in a very comfortable semirigid boat with two decks. We aim at offering the visitor the chance to get involved in an authentic marine environment research activity, minimizing the stress produced over the species studied to the maximum. Atlantic Eco Experience offers a product based on education, awareness and science. Very small groups (max. 10 people) guided by a biologist specialized on whales and dolphins. We have an hydrophone to explain the acoustical behavior o cetaceans and we are also focussed on their conservation issues. This way we will imprint a stamp in your mind that may change your life for good. The technic of approach is always based on the minimum interaction respecting 100% the natural behavior of the animals turning completely off the engines when they are around and never chasing them. Scientific workshop on board guided by experts in small groups. Auckland Whale & Dolphin Safari make it easy to experience the astonishingly abundant wildlife of the beautiful Hauraki Gulf Marine Park. Our 4.5 hour marine eco-safari offers guaranteed whale and dolphin viewing year-round, departing direct from the Viaduct Harbour in down-town Auckland city. But we offer so much more than just whale and dolphin watching. The privilege of being the only experience of our kind permitted to operate daily within this world-class conservation area has led us to establish New Zealand’s only research-based marine mammal experience. Our safari combines up-close and personal viewing of whales, dolphins and sea-birds with important Marine Biology and Environmental Sciences research conducted on-board. Allowing the general public the chance to encounter, understand and above-all help protect this incredible resource of marine life. There’s no need to travel far to enjoy a truly world-class wildlife adventure. With over a third of the world’s marine-mammal species seen within the area and a marine-mammal viewing rate of over 95%, the amazing Hauraki Gulf Marine Park is one of the best places on the entire planet to see whales and dolphins. Best of all it’s right on Auckland’s doorstep and waiting for you to explore it! With 20 years of experience, Futurismo offers a unique experience in the middle of the Atlantic Ocean. Our guides will let you have some of the most spectacular adventures that nature has to offer. At Cabo Trek we work to further the understanding and appreciation of the Ocean by re-establishing our connection with mother nature. Cabo Trek works diligently towards creating a common consciousness and understanding of the oceans and we strive to make a difference in this world by interacting with it responsibly and humanely. This means operating as one of the leading responsible wildlife tour operators in all of Los Cabos and simultaneously advise customers on ways they can help: be it donations, petitions, green thinking and more. The Baja California Sur region is very rich in marine life: it has the largest humpback whale population in the Pacific and each year they journey all the way to our beautiful coasts, making it one of the most awe-inspiring times of the year. Gray Whales and Blue Whales can be seen, as well as large schools of pelagic fish, all kind of sharks including the whale sharks, sea lions, nesting turtles, which are all among the list of animals we can find while scuba diving, snorkeling, camping and whale watching! A close encounter with these majestic creatures, whether it is while whale watching, scuba diving or snorkeling, is sure to make your trip in Baja California Sur unforgettable. It is through our tours that we achieve our mission– giving you “another reason to love the ocean” and furthering your understanding and appreciation of it. 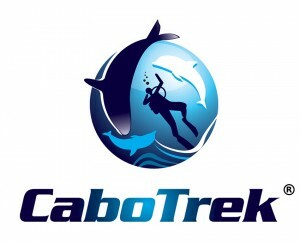 Cabo Trek: off the beaten trek! We choose to focus on small group tours only so that we can guarantee excellent quality service: all our guides are PADI certified scuba diving instructors and the crew counts with marine biologists, wildlife naturalists and skilled photo professionals, not to forget the most important skill: we are all driven by dedication and passion in what we do! Cape Ann Whale Watch is the area leader in educational whale watching tours – having conducted whale watching trips from Gloucester, Massachusetts for over 34 years. 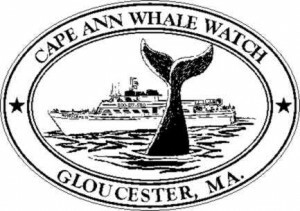 Cape Ann Whale Watch, through the Ocean Alliance CETA program (Cetacean Education Through Awareness), is the only whale watch company in the Northeast USA to feature a comprehensive educational program completely integrated into the whale watch. Our mission is to create life-changing safari experiences. For nearly four decades we have designed trips that provide maximum time out in nature to experience and photograph wildlife and to inspire travellers with the values of conservation and education. 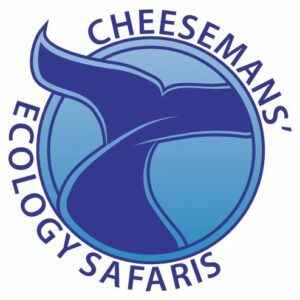 Cheesemans’ Ecology Safaris grew out of Doug, Gail, and Ted Cheeseman’s passion for exploring, protecting, and learning about the incredible wildlife and environments found around the world. To spread this contagious passion wide, we lead unsurpassed tours with the goal of providing a higher standard of wildlife travel under the guidance and knowledge of the best leaders available. Our cetacean focused voyages–particularly Antarctica, the Dominican Republic, Palau and Franz Josef Land, have a strong focus on participatory and engaging marine mammal science–you will travel alongside the top scientists in the field, scientists who not only are extremely knowledgeable but who as well take great pleasure in sharing their knowledge with you. Conscious Breath Adventures specialize in liveaboard cruises to encounter the Humpback Whales of the Silver Bank. A voyage with Conscious Breath Adventures takes you to experience one of the premier congregations of Humpback Whales found anywhere, in the Sanctuary for the Marine Mammals of the Dominican Republic. With thousands of whales gathering here every winter to mate and calve, you will see a dazzling display of behaviors from the deck of our tenders and eye to eye as you slip quietly into the sea to interact with these graceful giants in their ocean home. 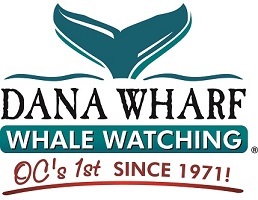 The original whale watching company in Orange County, Ca, Dana Wharf Whale Watching began in 1971 and was the first whale watching company in Orange County. We are the premier year-round whale watching facility in Southern California if you are coming to Whale Watch you want to do it from Dana Point with Dana Wharf the pioneers of the industry . We interact with over 1000 whales during the Gray whale migration in the winter and view hundreds of 90 feet Blue whales in the summer. In addition to whales, thousands of dolphins, sea lions, sea faring birds and even shark are found year-round in our waters, so we always have plenty of wildlife to see. Since establishing in 2007 we have adopted the ethics of our sister company Stubbs Island Whale Watching located 200 km to the north. They are BC’s first whale watching company and are highly respected as leaders in environmentally responsible whale watching. Our overall approach is highly respectful of the environment – striving to have your wildlife adventures count for the good of research and conservation and to have our operations be environmentally sustainable. Departure is from Campbell River, conveniently located on central Vancouver Island; just 1.5 hours’ drive north from the ferry from Vancouver, British Columbia. Campbell River is known as “The Salmon Capital of the World” and as a result we have the great privilege of frequent sightings of the many animals that depend on this keystone species, including bears; Pacific White-Sided Dolphins, Dall’s and Harbour Porpoises; Pacific Harbour Seals; Steller and California Sea Lions; and the “Northern Resident” Killer Whales/Orca (inshore fish eaters). Our area has become one of the most predictable places in the world to see the mammal-eating Killer Whales known as “Bigg’s” or “Transient” Killer Whales. Our common concern for the ocean has led to an ongoing effort to support conservation and research. Information on whale movements, identification and behaviour is constantly flowing between our staff and researchers. This allows us to offer very relevant and intriguing information and connects our guests to the wildlife and the environment in a very unique way. 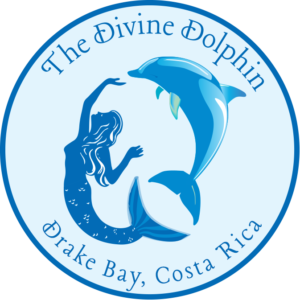 The Divine Dolphin has been running Dolphin and Whale tours off the Osa Peninsula of Costa Rica since 1998. This area is known as one of the most biologically intense places on Earth, both on land and at sea, and for this reason, we have been working towards a protected marine area here for many years. Our tours are both educational, with an on-board research marine biologist, and also are spiritually oriented towards the Love and Joy that the dolphins and whales share with us and we bring you the best of both worlds! We have the longest season of Humpback Whales in the world as we get migrations from both North and South America, and we often encounter pods of dolphins in the hundreds and even thousands. We most often encounter the Spotted Dolphins, also known as our “Homeboys,” and of course the Humpback Whales during the peak seasons. We also often encounter Bottlenose Dolphins, RoughTooth Dolphins, Spinner Dolphins, Common Dolphins, Pseudo Orcas and many other species of dolphins and whales that pass through these biodiverse waters. We offer both day tours and all-inclusive packages that combine both our incredible marine life and our rich rainforests full of land animals such as monkeys, macaws and toucans. We invite you to experience the incredible combination of nature, both on land and sea found only here in Drake Bay on the Osa Peninsula of Costa Rica. 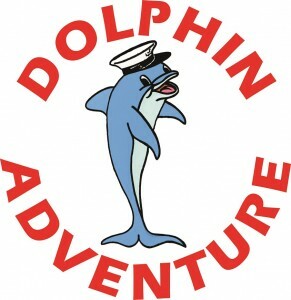 Dolphin Adventure is Gibraltar’s largest and most experienced dolphin and whale watching organisation which has been established for 20, years providing daily excursions to see dolphins and whales in their natural habitat. We are the preferred operator for most local agents and tour operators, adhering to, the strict guidelines set down by such companies as Cunard and TUI (to name just a couple) neither of which will offer activities that include captive dolphins. Our mission statement is ‘To provide the client with the best possible dolphin watching experience whilst maintaining a neutral level of intrusion’. For us, the welfare of these beautiful creatures and their environment is second only to safety, with all tours being conducted in the correct manner following our own voluntary code of conduct and the recently introduced local legislation to which our marine biologist, Rocio Espada, was a major contributor. Tours include a live commentary on the wildlife that we encounter and information on responsible whale and dolphin watching making the whole experience enjoyable and educational for all ages. We are involved and connected with conservation organisations and are working very hard to promote Gibraltar as leader in this field. Gibraltar is recognised by many as the birthplace of the current dolphin and whale watching industry and we want to keep Gibraltar on the front line as this industry moves forward to become a totally responsible form of self-sustainable eco-tourism. We have an in depth research program in place logging information on behaviour, numbers, breeding, feeding and the effects of shipping on our resident and transient dolphins. We also have a photo identification program, which we encourage our customers to contribute to, with thousands of photographs being collated and logged. Both of these projects are available to view and comment on online. Our new website features information about our company, a booking area, photo gallery, links to our research and Rocio’s blog. 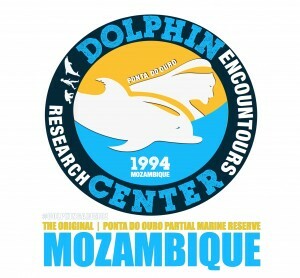 Angie’s Dolphin Center is based in Ponta do Ouro and was founded for the purpose of educational and ethical wild dolphin in-water encountours that would fund the longterm monitoring of the local Dolphins of Ponta when she moved to Mozambique in 1999. Angie’s love & dedication to the dolphins and citizen science saw the birth of what was to be Africa’s first structured wild dolphin swim program. We invite you to take the plunge, face your fears & experience something truly magical when coming face to face with wild dolphins; sentient, non-human persons who allow us to experience their true essence of being wild & free while in the company of a small team of conservation orientated individuals who strive to create a safe space for marine mammal encounters to take place in the open ocean. Angie share’s a 21 year bond with the local dolphins having known many of them most of their lives. The Dolphin Connection is based in Brighton on the south coast of England. We have been established since 1995, growing steadily over the years to improve our service as well as the number of locations we visit. Our local team in each location have a high level of experience and expertise so you are really with some of the best skippers and local guides available. We maintain a small and personal approach so that everyone feels welcome and well taken care of. It is a privilege for us to facilitate each person’s unique adventure with the dolphins and whales. We take people to beautiful places worldwide that are key locations for dolphins and whales. We have been taking groups to the Azores for over 17 years and have specialist knowledge of the marine life and the islands. We are involved with marine conservation initiatives through campaigns and awareness raising films. From April 1st until mid-October, Eagle Eye Adventures Tours offer Whale Watching, Ocean rapids/Wildlife tours and of course our magnificent Grizzly Bear Expeditions. Your adventure starts at Campbell River’s Harbour Marina. Come and explore the beautiful central coast of British Columbia – one of the best places in the world to observe whales, grizzly bears, and other wildlife. 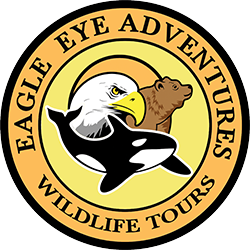 Eagle Eye Adventures Tours have been named as one of the top 2 best things to do in Canada by European travel agencies. Our tours are a terrific base for photography and viewing diverse wildlife. With a maximum of 12 guests on each tour, we can personalize your wilderness adventure, and help you put those animals on your life list. From right in Campbell River, you can hop onto one of our boats and head out on the waters of Johnstone Strait and Desolation Sound, off the Discovery Islands, and sometimes even the Sunshine Coast to watch a pod of Orcas or to witness a Humpback Whale breaching the surface. Porpoises and Dolphins can often by seen playing in the wake of our boats. What we love about the wilderness here is that it is still wild! Our straights and open waterways are what we’re famous for. The unique currents caused by ebbing and flooding tides support a food chain that starts with phytoplankton up through herring, salmon, dolphins, seals, orcas and humpback whales. On land, you can find cinnamon, black, and grizzly bears, deer, elk, cougar, wolves, and of course eagles, watching you as you watch them. At E-Ko, our aim is to increase awareness and appreciation of wildlife, the environment and promote conservation by providing a unique experience on both land and sea with exceptional service that exceeds all customer expectations. We recognise that it is our staff that provide this service. To facilitate staff in providing you with the best possible experience, we as a company take their wellbeing very seriously. To help us achieve this balance, we take inspiration from the Te Whetu (The Star). The concept of Te Whetu was developed as a framework to encompass the five key areas of overall wellbeing. These five areas are; manatu (mind), kaupapa (body), wairua (spirit), whanau (family) and whenua tapui (land). Manatu (mind) – We encourage free thought, input from staff and proactively help develop staff members’ skill sets and knowledge. Kaupapa (body) – We encourage staff to have a healthy lifestyle and endeavor to provide a good work/life balance. We compensate staff with fair and clearly structured wages and work with them to achieve their individual goals within the organisation. Wairu (spirit) – Everyone at E-Ko, prides themselves on contributing to a positive working environment and as an organisation we are always looking for new and innovative ways to make our place of work a happy one that everyone can enjoy and be proud of. Whanau (family) – At E-Ko we consider ourselves a family and as such care for and look out for each other. We also recognise and respect out staff’s immediate family and their needs within that unit. We actively work towards providing staff with a good work life balance so that they can spend time with their family and loved ones. Whenua Tapui (land) – As an organisation E-Ko is actively involved in conservation and protection of the land. All our employees are involved with this process in the course of their day-today duties. Beyond this, employees are also provided with unique opportunities to participate in conservation outside the scope of their general duties if they so wish. Elding Whale Watching has decades of experience and offers the most talked about whale watching and sea adventure tours in Iceland. All year round we offer whale watching, incentive and exclusive tours and the ferry to Viðey Island. Additionally in summer time we offer puffin watching and sea angling. Want to swim alongside the world’s friendliest whales? Be eye to eye with one of the most intelligent minds in our oceans? All while contributing to research to ensure their protection? Then join an expedition with Eye to Eye Marine Encounters. Eye to Eye Marine Encounters runs 4-6 day expeditions to the best dive sites on the Great Barrier Reef and aims to provide unforgettable interactions with Dwarf Minke Whales. For a few short weeks each year these amazing animals actively approach and engage divers, snorkelers and boats (sometimes for hours on end), an event that happens no-where else on earth. Eye to Eye Marine Encounters pioneered this industry and helped develop the Code of Practice for swimming with whales. We are considered world leaders in sustainable and ethical marine animal interactions as all encounters are carried out on the whale’s terms. This unique arrangement allows you to get closer to wildlife than ever before (often within an arm’s length!) while also supporting valuable research and conservation. And don’t forget that all trips include ample opportunity to dive and snorkel at some of the top sites on the Great Barrier Reef. Five Star Whale Watching is Victoria’s longest running and most respected Whale Watching company. We have been promoting respectful and responsible Whale Watching and Marine Eco-Tours for over 30 year. 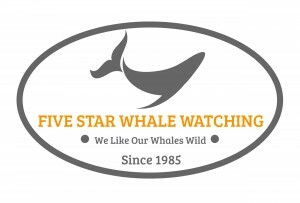 Five Star was a founding member of the Pacific Whale Watching Association and helped develop some of the most stringent Whale Watching guidelines in the world. We are a member of 1% for the planet and actively involved in various conservation efforts. We believe it is our responsibility to educate and protect the precious marine environment. Freebird Catamaran is a Whale & Dolphin watch Tour Operator in Tenerife, Canary Islands (Spain), with more than 20 years of experience with excursions in Tenerife. We are lovers of cetaceans and we make sure to respect the whales and dolphins that live permanently on our coast, or pass close by the island during their annual migration, when we are on the water. Tenerife is one of the best places in the world to enjoy the sight of pilot whales and bottlenose dolphins. These cetaceans live in a stable colonies in the south of the island. What makes whale and dolphin watching in Tenerife so special is the fact that these precious animals live very close to the coast. It’s just so easy and hilarious watching them in freedom. It is also one of the best attractions on Tenerife, because we can find up to 21 different species near the coast, starting with the giant blue whale up to the fearsome orcas. An opportunity you shouldn’t miss, being in one of the few places on the planet which offers this wide range of whales within walking distance of the hotel. Our aim is to create an unforgettable experience for our passengers, putting the best catamarans and a friendly, careful crew at your disposal to make sure you feel comfortable at all times and enjoy a unique environment. Just a few minutes from your hotel you can enjoy the best whale and dolphin watching excursion in Tenerife. On the Freebird Catamaran website or excursion offices you can book an excursion of 3 hours around Costa Adeje area, and an excursion of 4,5 hours to the cliffs of Los Gigantes and Masca. Our guide is specialized in cetaceans and will explain you the behavior of the species that live permanently on the coast of Tenerife, or of those which are passing by during their annual migration. You will understand why they live here, and how we can protect these mammals. Ilha Blue is a tour operator based on Ilha De Mozambique, a small island and the former capital of the country of Mozambique. Ilha Blue offers a range of tours and activities lead by local Macua guides and wherever possible using traditional forms of transport and technology. From July through to early October when the Humpback Whales are gathered nearby we offer whale-watching trips in a traditional Swahili sailing dhow. Other activities include snorkelling, kayaking and bicycle tours of the UNESCO World Heritage island. Based in Port McNeill on northern Vancouver Island, Kingfisher has two comfortable wilderness base camps in the heart of the world’s First Candidate Whale Heritage Site. From these base camps, four day and three night tours are offered to responsibly kayak with whales. These tours are suitable for beginner kayakers and family friendly departures are offered for families with children as young as six years old. Kingfisher prides themselves on small group sizes, allowing close personal attention and minimal impact on the environment and the wildlife we view from our kayaks. Our maximum group sizes at the base camps are ten guests with three guides. In addition, Kingfisher offers longer expedition style kayak tours off northern Vancouver Island and further north in the Great Bear Rainforest and Haida Gwaii. Every year from the end of July to October, Humpback whales visit the tropical northern islands of Tonga. They migrate here in large numbers to mate and give birth. In the crystal blue waters of Ha’apai we are privileged to enter the water with these majestic mammals of the ocean, interact with them and experience their world. We follow all non-invasive guidelines set by the Responsible Partnership for Whale Watching and Majestic Whale Encounters understands that it is an honour not a right to share their world with them. Come with us to experience the magic of the humpback whale, swim with them in their world. Live your dream! Mirissa Water Sports is a social business that was created in 2005 at the initiative of the Building A Future Foundation. MWS is pioneer in whale watching activities in Sri Lanka and received a certificate of excellence from TripAdvisor in 2012, 2013, 2014 and 2015.Seeing the success of MWS, about 45 fishing boats out of 300 in Mirissa Harbor were retrofitted or new boats were purchased for whale watching activities generating sustainable revenues. Many times, fathers still work as fishermen while their sons orient their business activities into more lucrative whale watching activities. The whale watching activity generates work for about 180 persons and the revenues from the activity benefit to about 1000 persons. During the good season, hundreds of tourists are present at dawn in the colored and picturesque Mirissa harbor to embark for a few hours journey at sea to spot these huge cetaceans. MWS is operational in Mirissa on the south-west coast from November to April and recently opened a new base on the east coast of Sri Lanka from May to October. MWS works in collaboration with scientists for a better understanding and protection of whales and dolphins in order to propose an environmentally responsible activity to tourists. Mirissa Sri Lanka considered as one of the best destination for Blue Whale watching and it is possible to spot Brydes and Sperm whales on the same sail. OCEANO Gomera S.L.is a Whale Watching operator who stands for a respectful Whale Watching. Our priorities are to offer respectful encounters with whales and dolphins, to inform and raise awareness about cetaceans and the ocean, to use our resources and those of our planet in a responsible way and to offer an obliging service to our guests at all times. We offer regular lectures and screenings of documentaries at our office on La Gomera, pointing out amongst other things the different threats to the sensitive eco system of the oceans and their inhabitants. We provide all guests with comprehensive information material and “eco tips” for their holidays. All our boat excursions are accompanied by a multilingual OCEANO guide providing detailed information. OCEANO is a participant of a comprehensive, long-term management project for tourism within the framework of the European charter for sustainable tourism (Carta Europea de TurismoSostenible – CETS) on La Gomera. Of the numerous applicants for this environmental and sustainability process, OCEANO Gomera S.L. is one of 18 companies on the island which were accepted. Why just watch whales when you can join them? A National Geographic “Best Adventure Travel Company on Earth,” Sea Kayak Adventures operates sea kayaking and whale watching tours in six countries worldwide. While the whale-focused tours are centered in Baja, Mexico, British Columbia and Quebec, Canada, and Peninsula Valdes, Patagonia, tours are also offered in Italy, Scotland, and the Galapagos. With over 20 years in business, every operations detail is refined to perfection, and the company remains dedicated to sustainable whale watching and tourism. A kayak offers the chance to not only watch whales, but truly immerse oneself in their marine environment. Because kayaking is largely non-invasive to marine life, these eco-friendly tours offer a chance to view whales and dolphins at sea level, without the sound of engines or the vantage of a boat. At this level, which is eye-level to a whale or dolphin looking back at you, the experience is intimate and personal. With knowledgeable and charismatic guides, including marine biologists, a Sea Kayak Adventures tours is not just a kayak tour, it’s an interactive wilderness experience. Tours are suitable for novices and feature sheltered waters and stable, study sea kayaks to share your adventure vacation. The Baywatch Marine Conservation Project was started by Lloyd Edwards in 1992. 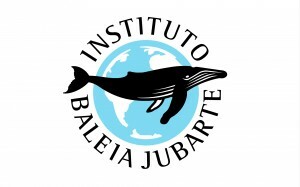 Inter alia, the objectives are to educate the community and especially the youth about the marine environment and the need for its protection and conservation, assisting in marine law enforcement as honorary conservators, assisting scientists in their marine research and carrying out our own marine research. Raggy Charters was started in 1997 in order to run marine eco tours in Algoa Bay and thus generate a steady supply of income in order to run the Baywatch project. Raggy Charters has the only Boat Based Whale Watching permit for Algoa Bay.The Penguin Research Fund was started by Lloyd Edwards and wife Dr Lorien Pichegru in 2009 in order to raise funds for penguin (and cetacean)research and construct a research vessel (launched in 2011). We have lost 70% of the African Penguin population since 2004. Dr Pichegru heads up all African Penguin research in Algoa Bay. She is also the scientific advisor to The Baywatch project and Raggy Charters. Ellie Bottomley has a BSc degree in animal behaviour and assists in coordinating close encounters with cetaceans and is also the manager of Raggy Charters. Operating out of historic Telegraph Cove since 1980, Stubbs Island Whale Watching was BC’s first whale watching company and has pioneered the idea of responsible wildlife viewing with true educational merit. Our overall approach is highly respectful of the environment – striving to have your wildlife adventure count for the good of research and conservation and to have our operations be environmentally sustainable. Telegraph Cove is located on northern Vancouver Island and is BC’s last boardwalk community. It’s also the gateway to the Broughton Archipelago, Johnstone Strait and Robson Bight. This is the closest possible departure point to where the whales and other wildlife are most often sighted leading to reduced average vessel transit time and minimised carbon footprint. The area is core habitat for Humpback Whales, Northern Resident Killer Whales/Orca, Pacific White-Sided Dolphins, Steller Sea Lions, Dall’s Porpoise and more. Along with our sister company Discovery Marine Safaris, our common concern for the ocean has led to an ongoing effort to support conservation and research. Information on whale movements, identification and behaviour is constantly flowing between our staff and researchers. This allows us to offer very relevant and intriguing information and connects our guests to the wildlife and the environment in a very unique way. It is a family company that dedicates itself to the interpretation of the land, coast, marine and submarine ecosystems of the Peninsula Valdés, that was declared a World Heritage Site by UNESCO. The company is a tourist operator with 25 years of experience in Patagonia. They dedicate themselves to satisfy the expectations of the clients, offering them a full service, where the conservation of the environment is basic to understand the natural beauty that surrounds us. Thanks to their years of experience, they have managed to become one of the main companies working in tourism on the Peninsula Valdés. They are a company offering direct service of whale watching and nautical excursions. The company has his own boats for whale watching from June to December and nautical excursions of the fauna and snorkeling, during summer. Argentinian Navy and The Provincial Tourism Organisation of Chubut take care of these excursions. Excursions on land, as well as in public as in private services, are offered in their own vehicles. We are a small seasonal whale watching/ iceberg/ marine wildlife viewing company in Trinity, Trinity Bay, Newfoundland and Labrador. Our season basically begins mid April to late October. We view Finback, Minke, Humpback, Orcas, Porpoises and Dolphins as well as other species including sunfish, leatherback sea turtles and other wildlife in season. We view these species by our Rigid Hull Inflatables and by kayak. Our B&B and restaurant are our jump off point for our tours. Our tours are small and very personal so if you are looking for a whale encounter where you can speak to the captain and share an awe-inspiring moment together we are your venue to come to see whales close up. Have a look at some of our videos and posts on YouTube and Facebook. Got questions feel free to email, call or chat with us to answer your questions. We would love to help plan something that is the Experience of a Lifetime our theme and mantra. 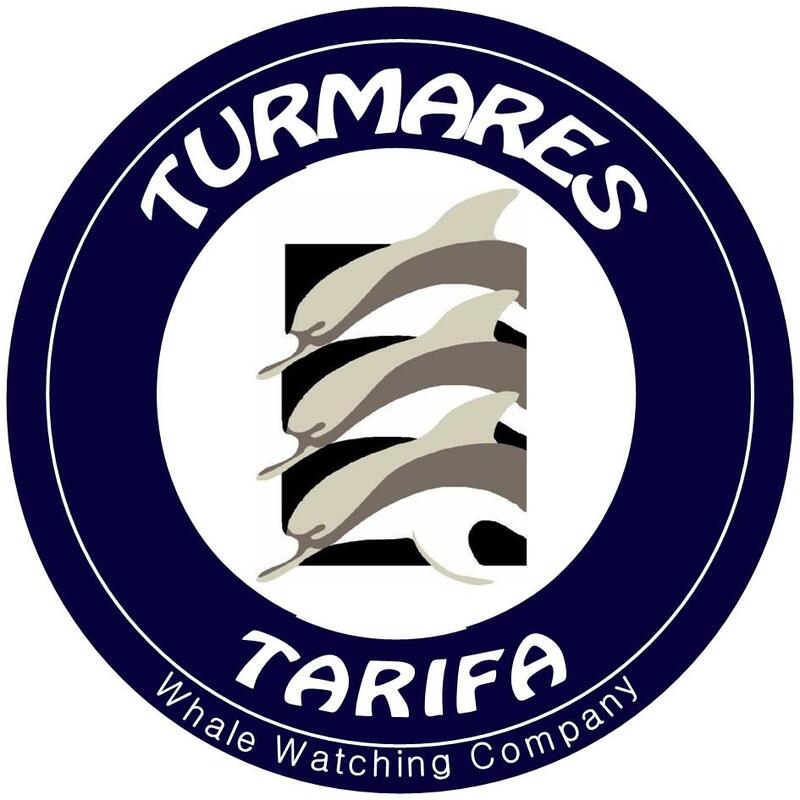 Turmares Tarifa SL is a company dedicated to sea tourism with emphasis on “whale and dolphin watching” in the Strait of Gibraltar and Bay of Algeciras. With 10 years of experience the company is a credible partner, which is confirmed by the certificates ISO 9001 and ISO14001. Turmares is also registered as Tourist Company by Tourism Board of the Andalucía Council as well as by is certified under the green label Andalucía Natural Park Brand. VENTURA |nature emotions is a nature tourism company based on Madeira Islands, Portugal, with a clear ambition – organize whale & dolphin watching tours, birdwatching tours, and outdoor activities in Madeira archipelago including Desertas Islands and Selvagens Islands. Managed by a family with great respect and passion for the sea and nature, since 2000 we give the opportunity to watch several species of marine mammals and marine birds on a classic sailing boat and on safe RIB boat. To give the best experience watching wildlife in these beautiful islands on the Atlantic Ocean, we have in our family persons with great motivation and experience in the several fields. Marine biologists, skippers, naturalist’s guides, and tour managers are always prepared to welcome visitors and, associated to the always-present professionalism, they contribute to a delighted atmosphere during the tours. A rich biodiversity characterizes the clear and blue Madeiran waters and many species can be found like spotted dolphins, common dolphins, bottlenose dolphins, pilot whales, sperm whales and Bryde’s whales. It is also guaranteed to find several species of marine birds like shearwaters and petrels. 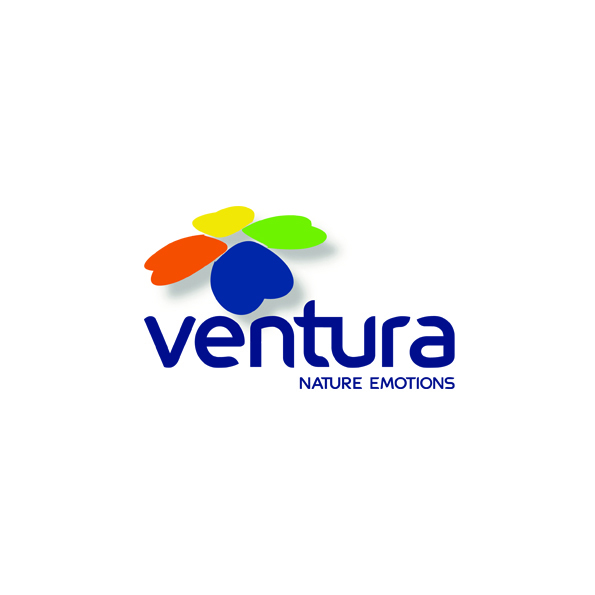 VENTURA |nature emotions is totally committed to the conservation of our natural world and loves to give to all that came in our tours a different experience of watching and understand the natural species. Looking for an alternative to the progressive decline of the fishing activity in its port and trying to promote economic activities linked to the Sea -sustainable and respectful with the natural environment- the Tourism Area of Santurtzi Town Council, supported by a group of marine naturalists and experts in the material, will make one-day trips for seabirds, whales and dolphins watching. We will travel for a day along the different marine ecosystems of our continental platform, as well as the edge of the cantilever, the deep sea gullies, ecosystems very rich in marine biodiversity and where live and feed the great whales, sperm whales, the beacked whale and even the killer whales. With the intention of reducing the footprint of co2, we have created a forest of native trees that is enlarged every year – thanks to the participation of schoolchildren from local schools – with the necessary funds for their care and conservation and which can be visited. Adventure awaits you in the beautiful San Juan Islands, just 90 miles north of Seattle. Join Western Prince Whale Watching on an intimate sized tour departing from Friday Harbor as we explore the protected waters north of Seattle and discover the islands’ abundant wildlife and spectacular beauty. We are ideally located in the heart of the Salish Sea with premier access to an incredibly diverse ecosystem. We may also encounter beautiful Humpback Whales and Minke Whales. And, don’t forget the other wonderful wildlife: Porpoises, Harbor Seals, Bald Eagles, Steller Sea Lions, and many interesting sea birds. With over 30 years experience, we are the longest operating whale watch company in the San Juan Islands, and with that experience we make every tour a unique adventure! We have never been the biggest, nor do we strive to be. As an owner operated company, we take pride in providing a quality tour with a personal touch while demonstrating the utmost respect for the wildlife that we view. Our passionate crew is committed to providing the best whale watching experience in the area, making each tour an unforgettable adventure! We are a small specialist business providing world-class wildlife watching holidays in The Indian Ocean. Whale Watch Azores aims to offer clients a high quality whale and dolphin watching experience with a low environmental impact. Animal welfare comes before client satisfaction. We want to whet your appetite to learn more about the oceans, the animals that live in them and the threats they face. We regularly see 6 or 7 species of cetacean, including some of the ocean giants: blue, fin and sperm whales, set against the backdrop of the beautiful Azores. We offer full day tours on a 12m catamaran, “Physeter”, with a maximum group of 12. The tours are a learning experience for everyone and your tour fee funds research aboard, ongoing since 1988. We have been operating tours since 1993 and over the years have acquired a lot of knowledge on how to approach the various species we observe to cause a minimum of disturbance. If we detect signs of disturbance or avoidance, we will not chase the animals. Since our trips are for the whole day, we do not have to race other boats to arrive first; we can take our time. We do not swim with the animals. Identification photographs are taken of several species. These photos enable us to track their long-distance movements. Our marine biologist, Lisa Steiner, discovered movements of female sperm whales between the Azores and Canaries and males between the Azores and Norway. Humpback whales have been matches between the Azores, Cape Verde and Norway. Several blue whales have been identified in multiple years, indicating a preferential migration route. Whale Watch Azores promotes best practice whale watching and urges others to do the same. Without the animals, whale watching would not exist. Put simply, your money helps to ensure that your holiday of a lifetime will be there for the next generation to enjoy. Whale Watch Tenerife is dedicated to respectful whale watching, research and conservation. Located at the Puerto Colón Marina in southern Tenerife, Whale Watch Tenerife offers Marine Biologist led small group and private whale and dolphin watching tours year round. Our organization is owned and operated by Marine Biologists. Our team has created the first land based cetacean research sightings station where we operate a year round study of whales and dolphins. This adds valuable information about these cetaceans with regards to; species, populations, habitat use and migration. Sightings information is passed on to the tour boats ensuring our guests the best possible observations of whales and dolphins in Tenerife. We limit the number of people on the tours to just 10 guests to ensure everyone personal attention. During the tours our Marine Biologists ensure respectful encounters while collecting data on the whales and dolphins including photos for local cetacean ID catalogs. On the tours guests can listen to the whales and dolphins with our hydrophone. We also provide didactic materials for a better educational experience. During the tours our Guides include discussion on the challenges faced by cetacean populations locally and internationally. It is our goal to create a greater understanding and appreciation of the whales and dolphins while inspiring our guests to support sustainable whale and dolphin watching practices. Whale Watch West Cork is dedicated to providing our customers with a safe, comfortable and educational whale and dolphin watching experience. We seek to impart detailed knowledge on the marine mammals and other wildlife we encounter and on the wider issues of marine conservation through informed commentary with special emphasis on the current threats facing these unique animals and their fragile environment. We directly support conservation measures through education and research. Our trips are always oriented towards education with a strong conservation message and we are the ONLY whale watch operator in West Cork to have a qualified zoologist available and information sheets on EVERY trip. With state-of-the-art hydrophone and camera equipment available onboard along with our detailed interactive commentaries we create an informative and educational experience that few other operators are able to recreate. Whale Wise Eco Tours offers responsible, silent and eco-friendly whale watching in the west coast of Tenerife. WWET is run by cetacean researchers willing to inspire others to care about whales, dolphins and their habitat. The tours are from an environmentally friendly vessel, full of innovation. This boat is made of recyclable materials, free of toxics and paints, powered by solar energy, and has a desalinization system to reduce fresh water use, among other eco friendly features. Above and below Action Cameras that synchronize to tablets and phones to follow the whales underwater. Touchscreen with educational material and photo ID catalogues of the animals. High speed digital cameras to take professional pictures. Top quality hydrophone system to listen to the whales. At WWET whale watching is done with respect and appreciation for cetaceans. It blends tourism with research and conservation. The guests can join the scientists, participate in their research, ask questions, or simply sit back, relax and let nature soak in. Viewing whales and dolphins on the south coast of the island of Tenerife is an activity that thousands of people tryevery year. Either individually or in groups, with your family or friends, you can reserve your places on one of our boats in the certainty that it will be an unforgettable day for everybody. At White Tenerife, we suggest that you take this exciting excursion on our exclusive boats -maximum eleven passengers – so that you have the best experience possible. Our staff will inform you about everything necessary and will look after you at all times. During the trip, we will offer you bread rolls, snacks and drinks free of charge. White Tenerife, a leader in nautical services in its sector in Tenerife, has the Blue Boat seal as a company authorised to carry out this activity. Care for nature in general and these beautiful and impressive mammals in particular is the responsibility of all of us and our boats fulfil all the conditions required. Wild Encounter Thailand is the very first whale watching and wildlife eco-tourism company based in Bangkok, Thailand. We specialized in running Bryde’s whale watching in the Gulf of Thailand and the Great whales encounter in Indian Ocean. Working closely with the Thai Government’s Authorities, Our company is responsible in Bryde’s whales photographic ID cataloguing and promoting the standard of Bryde’s whale watching guideline and the educational value of marine – cetacean conservation of this activity throughout the country and to set the higher standard of educational whale watching in South-east Asia region as well. Wild Side offers a variety of educational, eco friendly, animal and habitat sensitive, offshore ocean activities that include year round whale and dolphin encounters, and snorkeling at coral reefs where sea turtles and tropical fish congregate. All tours are guided by a biologist or seasoned naturalist, who provides passengers with an extensive briefing on the various animals encountered during the tour, their habits, habitat, and procedures/techniques on how to properly, safely and respectfully observe the animals from onboard the vessel and in the water. 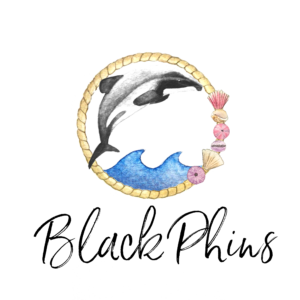 Black Phins is an organisation trying to help raise some money by selling t-shirts and reusable straws (will be adding more products as time goes) for the NZ Whale and Dolphin Trust to help go towards their research towards NZ marine life such as the Hectors and Maui Dolphin only found in NZ waters. The Orca is another one of our logos. We are also trying to help with our social media outreach to educate people on plastic in the ocean, rules and regulations here in NZ when you encounter marine life and just in general try to help get more exposure to our oceans and how we can help make the ocean a better place.